Yesterday I headed out to JoAnn’s because I had a serious craft itch. They come and go, and yesterday it was a for sure go!!! I picked up some supplies and went home and got busy. 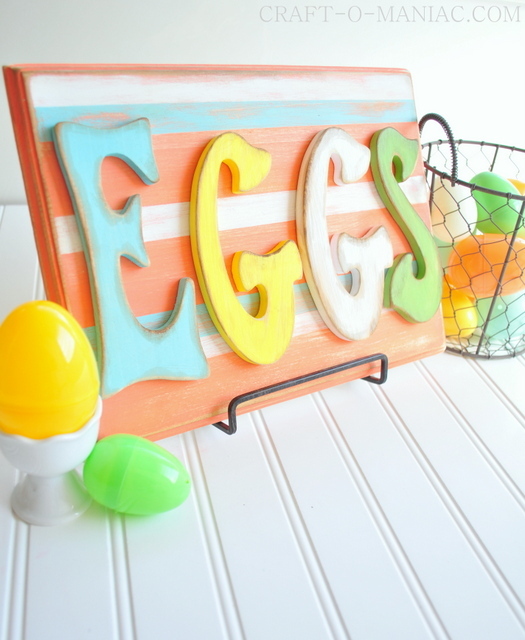 Everything I used to create this Easter Eggs Plaque was and can be found at JoAnn’s. 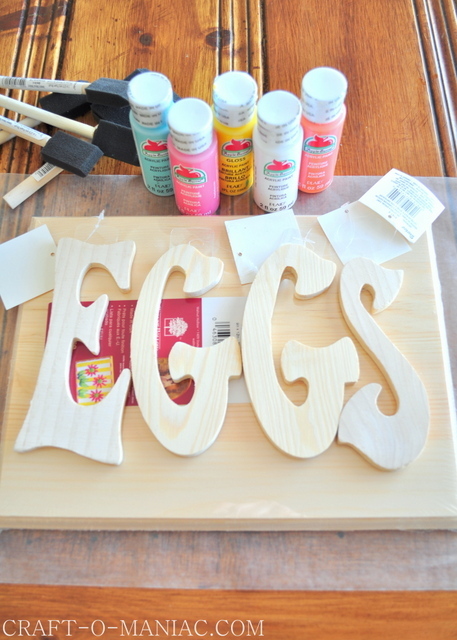 To create this project, I first decided what colors I wanted to use, then I got busy painting all the wood. When I was done with the painting and had let everything all dry, I sanded everything really well. A tip I do to get that dark sort of stain, is use dark wood stain. 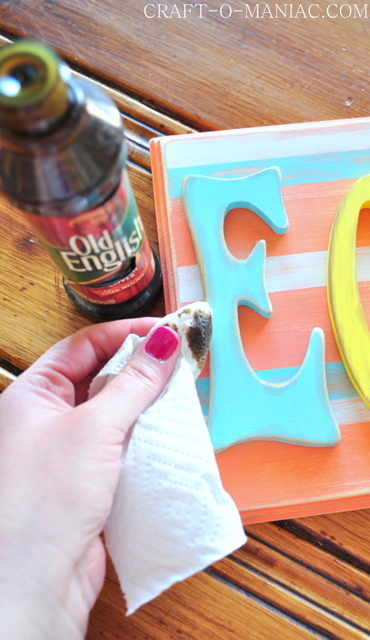 I simply add the stain to a paper towel and rub it on the edges of the wood or anywhere I would like the stain to show. If I get to much stain I just quickly wipe it off with the paper towel. I love the worn rustic look, and sanding and staining will help you achieve that look. 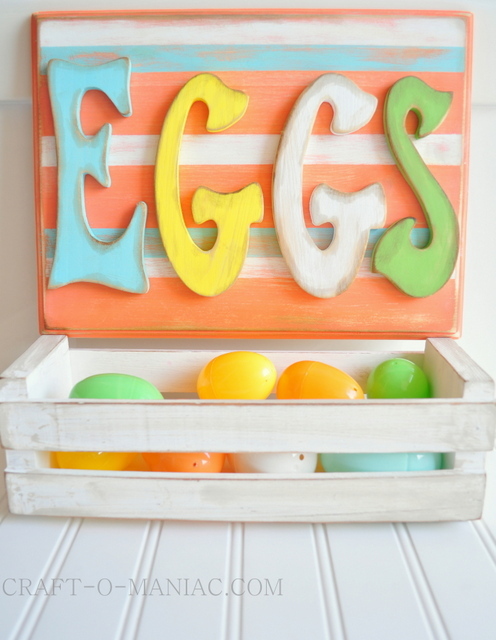 This sign is cute for Easter or in a kitchen with a basket of faux eggs. I really like this sign! So cute – and I love the shape of the letters. 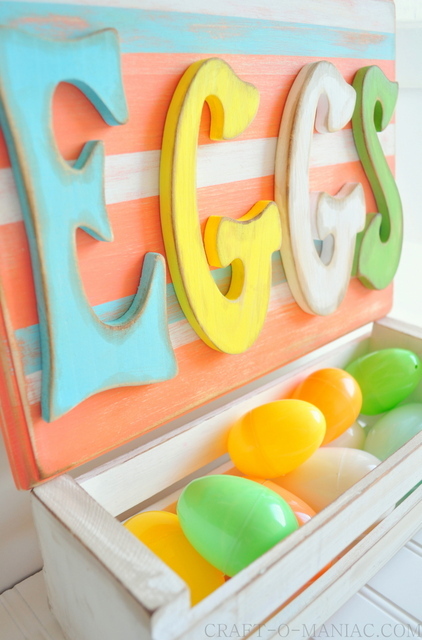 Makes me want to dye some Easter eggs!! What a cute plaque. Your design it great. I may feel an itch coming on myself! 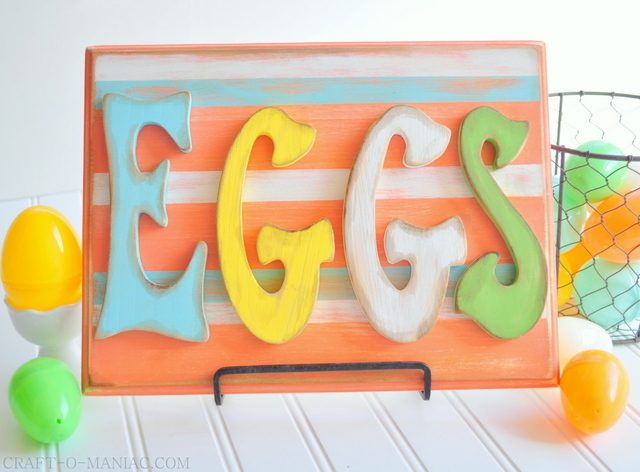 I seriously love this EGGS sign! The colors you used are perfect and I think the stain adds just the right touch to it. 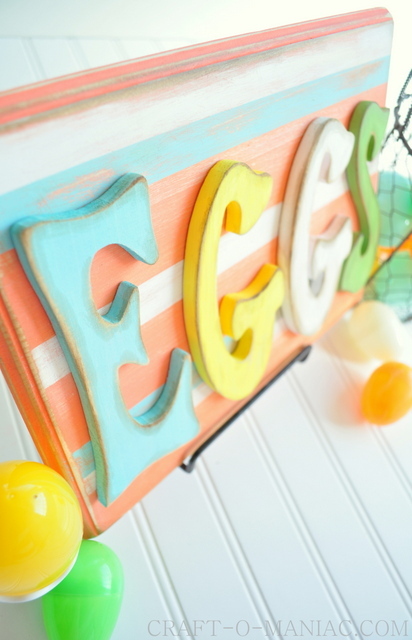 I also love that you painted stripes on the board behind the letters. 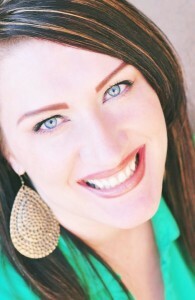 Adorable rustic look. Question. Did you sand AFTER you painted? did you sand all over our just where you add the brown? Thank you!